Looking for a boat that has it all? This cruiser has it all. Small enough to get around without paying too much for gas and big enough to take a trip and sleep comfortably. Boat has special order Navy blue Hull, neutral color cabin with Corian counter tops. The boat is in pristine condition inside and out. Big Block engine with Mercruiser Bravo III outdrive. Sink in bathroom, in the cabin as well as on the counter on deck. 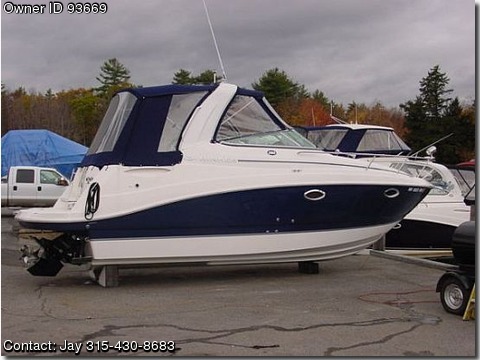 Always stored in heated storage with yearly maintenance on hull and engine.